Crystal Glass is a Google Trusted Photographer. She specializes in taking photographs that are then used to create a 360 degree tour of your business. Every brick and mortar business can benefit from this affordable technology. Why? It's about trust and comfort! Well, it's more than just a video. It utilizes Google StreetView technology to stitch together photos to create a walk-through experience like no other. I checked out the tour for one of my favorite local joints (shot by Crystal) and was surprised to see I could even "go" up and down the stairs. And now I need fish and chips. On this episode, Kelly reveals her grocery store-related anxiety. The thought of going to a new place is overwhelming, so she doesn't do it. It's true - she never has groceries and there is only one store I know of that she'll go to. She's not alone. As more people do more and more research online, it only makes sense to provide as much familiarity as you can. We talked about grocery stores and restaurants, but also funeral homes. When someone you love dies, do you really want to have to GO to a location to see if it will be appropriate for your needs? Having the virtual tour lets people get a feel for you before they step through the door. 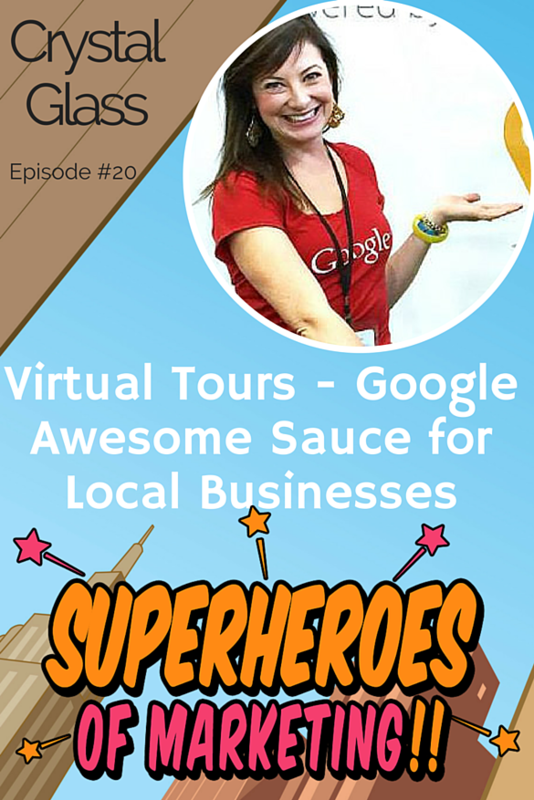 Do Virtual Tours Help With SEO? People clicking on your tour will boost your SEO, and people do! Some clients have reported that their business has moved up in the "seven pack" of Google maps results - meaning they are in that top tier of results. Everyone wants that! One client was a deli by day and fancy Italian restaurant on weekend evenings, but very few knew about it! So, the owners asked Crystal to come after it was transformed. It's a great way to highlight a lesser-known aspect of your business. You might choose to have your business photogaphed empty, at night, at the peak of business, seasonally - whatever you want to promote to your local customers. Your photographer will help you get embed code so you can put your tour on your website and your Facebook page and will help you with other ways to utilize this amazing visual. The tour itself is uploaded to Google for you, so no need to worry about technical know-how. Can I Afford This? Is it Going to Disrupt My Business? Virtual Tours are affordable for nearly every business and they last. While a print or radio ad has a very short shelf-life, the tour will be here to promote your business for years to come. You can have the pictures taken at your convenience. If you prefer an empty store, Crystal can do that! Like a crowd? Google will blur the faces of your customers to provide privacy but still show how popular you are. She recommends common-sense preparation, like tidying up, making sure shelves are well stocked, etc. Other than that, you don't have to do a thing!! So, if someone stops by with a Google Trusted Photographer badge, you can feel confident setting up your shoot. I hope you'll take advantage of it! 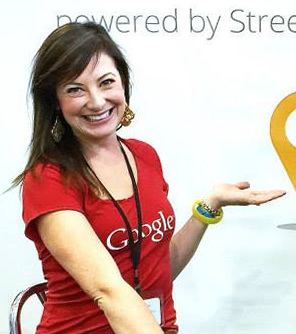 Crystal is a Google Trusted Photographer, pen hoarder, and proud owner of Sadie the sweetest dog ever. Visit her website to find out more about what she can do for your Wilmington, NC business or to learn more about the process in general and get links to find your local photographer.